"Only God can take the pieces of a Life that's come apart and patch it all together to make a brand new Heart." 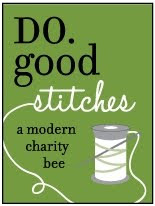 I really wanted to do at least one project for a new sew-a-long blog challenge. 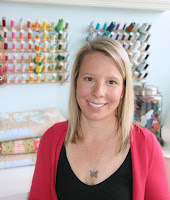 It involves my favorite group of ladies "Crafty Sewing Mamas" Do you just love that name?!?!? Anyway, today is the second week of the blog challenge. I missed out on the first week because I have had my hands full. And honestly, don't think I will be able to participate every week. I am hoping that I can at least make a dent in the list this year! This week's project: A pair of pjs or something for Valentine's. I decided that I wanted to do something that not only was Valentine's, but also related to our blog love-fest "What Love Really Means". I hunted through my MANY books and found this foundation pieced pillow design. I instantly knew that it would be perfect. 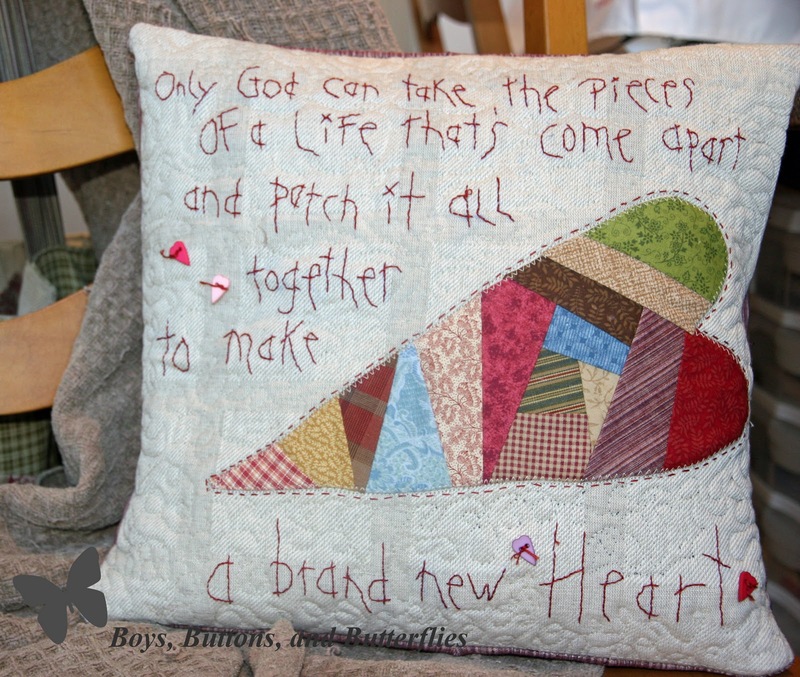 I needed a pillow cover for the Valentine's holidays for my studio, wanted to do a bit of piecing and quilting (it has been a while) and I thought the quote was so fitting for our goal this month! I just LOVE when a saying or a quote fits my mood and I can use it as inspiration for my projects! My life was in pieces...and God has patched it together. I think He is doing a pretty good job! I have never attempted foundation piecing, so this was quite a joy to do! Keep your eyes open for a tutorial (shooting for tomorrow)!!! And as always........totally made with scrap fabrics I had. The background fabric is an single loney napkin I had hanging out in my stash. You know that always makes me happy to use up items from my hoarded supplies!!!! I love this!! Wonderful idea!! So beautiful and so true! I love this! I think it's time I got out my sewing machine as well!!! Perfect quote!! Sending warm thoughts your way for this next week!